What do you do if you have a family from Maryland and Louisiana, your great-aunt’s cookbooks, a bunch of family recipes and a passion for seafood? If you’re Katie Marron, you open Miss Ka­tie’s Crab Shack. 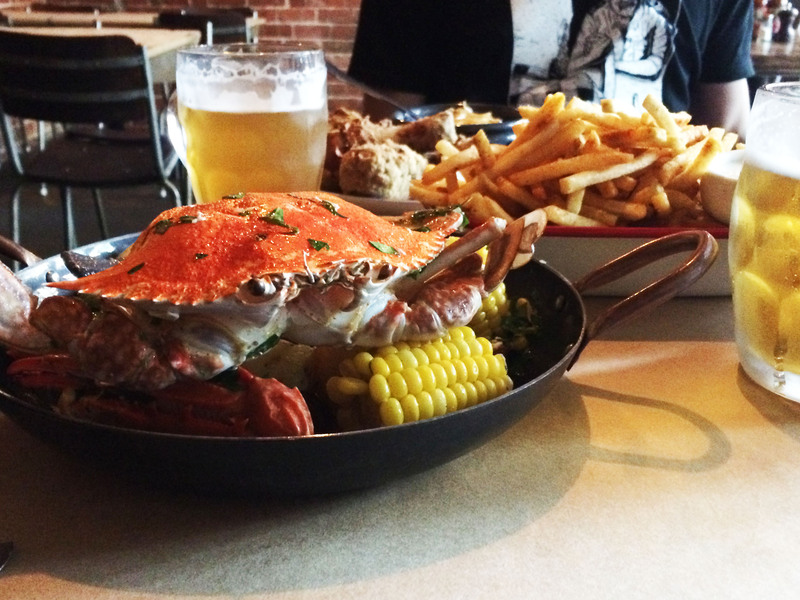 Located on Johnston Street in Fitzroy (look out for the neon crab sign), Miss Katie’s Crab Shack serves up Maryland-style crab boils and other American goodies from the back room of the Rochester Hotel. Miss Katie herself cooked for the likes of MoVida before opening the original Crab Shack in the Public Bar, North Melbourne, in August 2013. After outgrowing that venue, the team moved to the Rochester Hotel in Fitzroy in April this year, where the brick walls and candlelight create a cosy atmosphere perfect for comfort food and Australian seafood is the star of the show. We kicked off with a serving of the more­ish Southern classic, fried green tomatoes ($12). These were served with goat’s cheese, coriander and hot sauce with a decent kick of spice. For main, I couldn’t go past the house specialty, the ‘build your own’ crab boil (start­ing at $25), a beautifully cooked blue swim­mer crab with corn, potatoes and kransky sau­sage, to which you can add your own selection of clams, prawns and oysters. Smother it all in garlic butter and dig in. Crab isn’t the easiest meal to eat. You’ll be supplied with all the tools you need, including plastic bibs, wooden mallets and crabcrackers. Katie runs her business with a sea/paddock-to-plate mentality, working with trusted suppliers who use sustainable fishing methods and striv­ing to use only Australian produce.